Since its introduction in 2005, it should not be surprising that MetaTrader 4 (MT4) has become the most widely used trading platform by forex traders worldwide. Its developer, MetaQuotes Software, has continuously been making improvements to the platform, to make it more powerful and secure, and to add to its already impressive range of features. 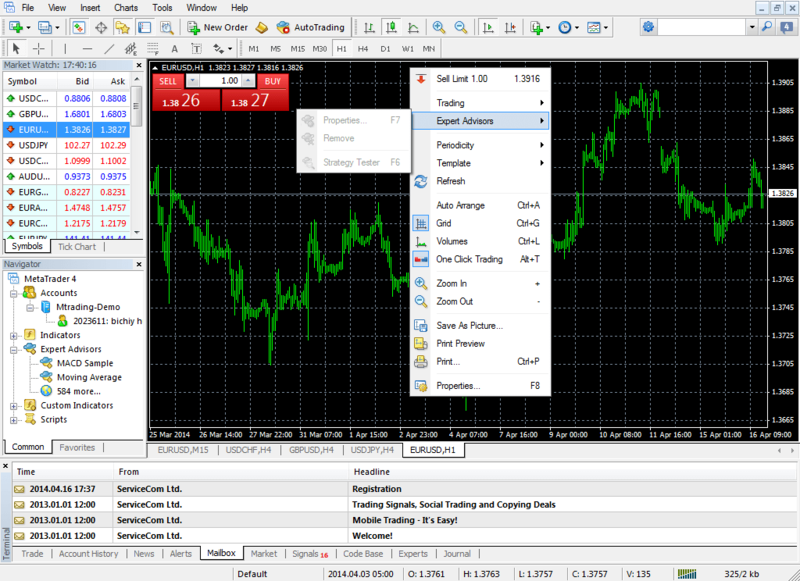 Once MT4 has been downloaded and set up in the trader’s computer, the trader immediately has access to live price data from the forex markets. In addition, Traders can also retrieve historical price data from the MT4 Historical Center that they can use to backtest his strategies and determine their effectiveness. MT4 offers a wide range of charting options to allow traders to easily detect trading opportunities. Nine available timeframes, ranging from as short as a minute to as long as a month, help traders distinguish trends and identify patterns. In addition, there is also a big assortment of technical indicators programmed into the software, ranging from simple Moving Averages to sophisticated Bollinger Bands. These indicators help in identifying the trend, entry and exit points, volumes and risks. The convenience of automated trading is also available as MT4 features Expert Advisors that are designed to identify market trends that could indicate a trading opportunity and alert the trader. 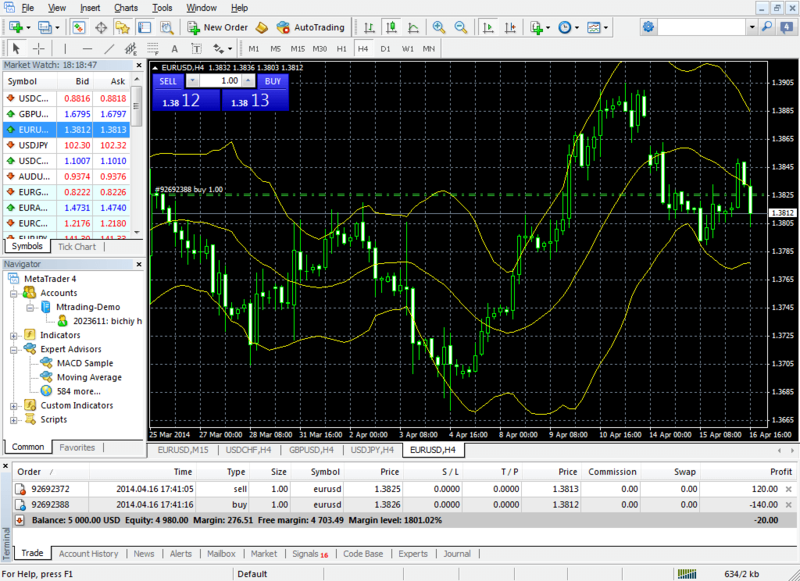 A simple drag-and-drop interface allows traders to easily add indicators and EAs to their charts. Once traders are ready to make a trade, they can do so easily from the Order menu. 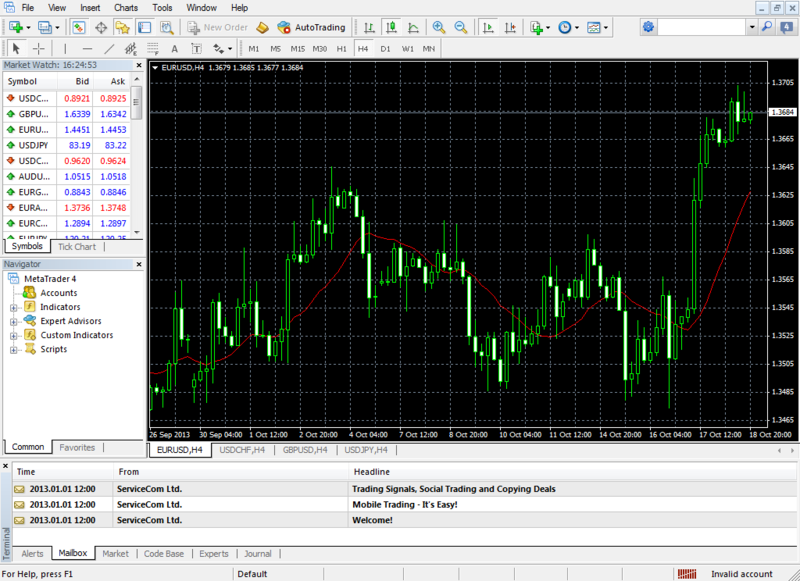 When the position has been opened the trader can modify it or even close it at any time. This gives the traders full control over their trading activities. Unlike other trading platforms, the MetaTraders 4 allows for locking positions: A trader might hold positions to buy and sell the same amount of the same currency at a time. Hedging positions like this allows clients to use enhanced trading strategies not available on other platforms. 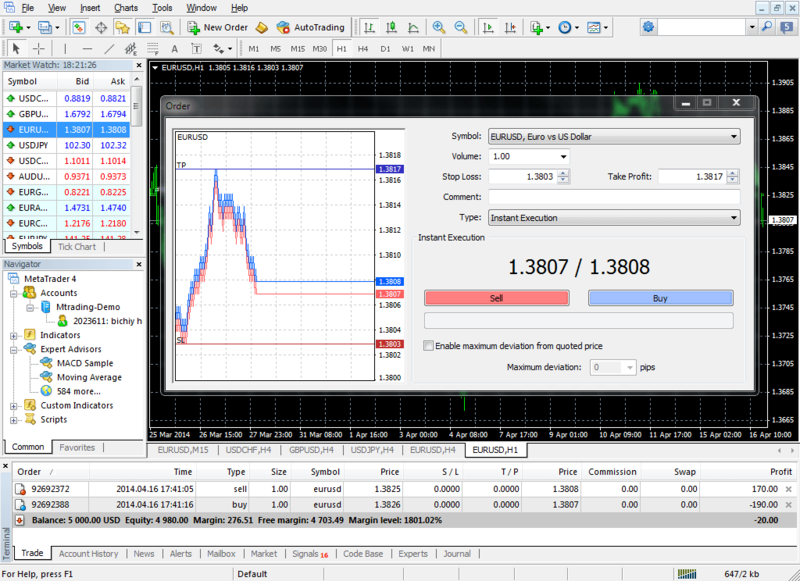 MT4 also provides support for Android, iPhone and iPad, so you can manage your trades on your tablet or smartphone from anywhere there is an Internet connection. The mobile version of the MT4 offers the same functionality as the desktop version, allowing traders to access the tools of the platform and even manage and place trades.